There might not be an exact science to first kisses, but Bailey’s about to experiment! 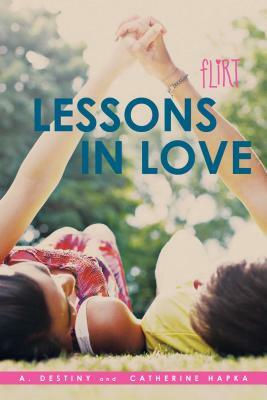 This standalone addition to the Flirt series, now with a new cover, is sweet, fresh, and clean. No, it can’t be. Bailey doesn’t get crushes. Sure, she thinks Logan’s good-looking in a jaw-dropping way, has eyes she could stare at forever, and speaks with a voice that sounds like cherubs blasting their cute little trumpets. But that’s a normal reaction, right? And even if it wasn’t, it’s not like Bailey has a chance, not with all the other gorgeous, popular girls at their school who have Logan Morse on their radar.